Pharmaceutical Researcher and Manufacturers Association is sending patients to Washington to lobby for expensive prescriptions. No one has been doing the happy dance to the tune that Big Pharma has been singing the last couple of years. So now, it has decided to sing another tune. We’re done being on the defensive, goes the chorus of the new song, composed by Steve Ubl, president and CEO of the Pharmaceutical Researcher and Manufacturers Association (PharMA). Instead, we’ll let our patients sing our praises. That, at least, is the gist of the message Ubl and his messaging team have come up with. According to The Hill, Ubl thinks Washington decision makers should know the truth about costly drugs — that they save lives and control diseases that were deadly just a few years ago. So Ubl is going to send a battalion of researchers and patients to Congress to lobby on behalf of the very drugs lawmakers say are gouging the public and insurance providers. “I think it’s fair to say this represents a bit of a pivot for the organization. We’re going to develop a proactive policy agenda, and we’re going to drive it,” Ubl told The Hill. Ubl said he’s also ready to roll out PharMA’s own “cost-saving” list of recommendations for the FDA approval process. Among the drugs certain to be brought to Congressional attention are those that are performing “miracle” cures for thousands of baby boomer hepatitis C sufferers. 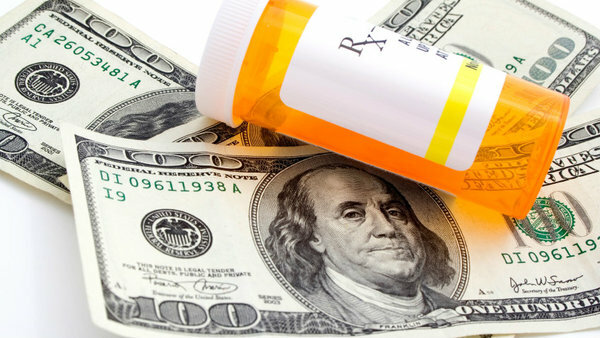 At the same time, it sounds like Ubl is not going to address such issues as the cost spikes of more commonplace over-the-counter prescription drugs that, taken as a whole, are also driving up drug costs. But he’s definitely steering into the eye of the cost control storm with his new campaign. As far as Big Pharma is concerned, its current black eye can’t get any blacker.